Today’s wireless devices and interfaces are mainly designed as monolithic, closed source systems. As such, they exhibit limited configuration and adaptation capabilities to the evolving needs of wireless operators and end customers. Innovation thus faces two major hurdles. On the one hand, new approaches and protocols must undergo a slow standardization process before being included in new products, even if modifications and extensions of existing standards are “marginal” and only related to tiny details. On the other hand even when technologies and solutions are provided via open and programmer-accessible frameworks (e.g., open source firmware or drivers), implementation complexity, platform dependency, and lack of modularity prevent all but core experts from successfully performing modifications in the wireless stack. All this can be highly improved if existing wireless access standards based on closed architecture move toward new modular flexible architectures, opportunistically open for customization. Nowadays, many researchers from all over the world are involved in designing such architectures for the next generation wireless technologies (Google yields about 3,000,000 results for the keywords “flexible architecture of wireless networks”). 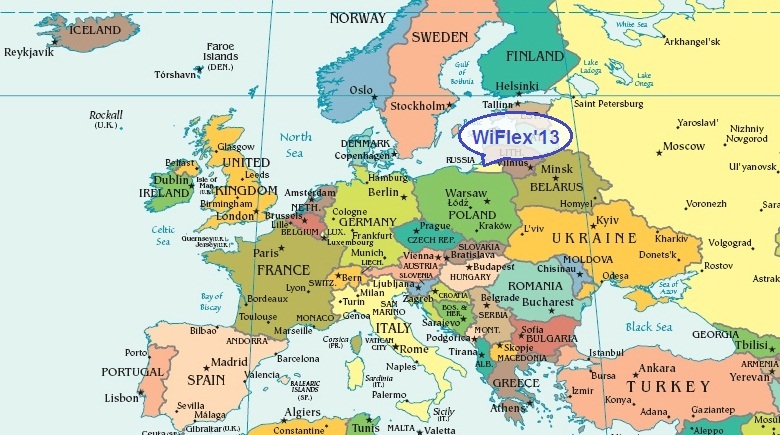 Held in Kalinigrad, Russia, during September 4–6, 2013, the International Workshop on Wireless Access Flexibility (WiFlex 2013) was the first forum intended to address flexible wireless access architecture design that opens the door for innovative solutions significantly improving network performance even if they do not fully conform to current telecommunication standards. It is our great pleasure to present the proceedings of WiFlex 2013 which can be downloaded via the link (Springer Lecture Notes in Computer Science, Vol 8072). The contributions gathered in the book describe the latest results and novel research ideas. We would like to thank all authors and, of course, the Program Committee who did a wonderful job of critically reviewing the submissions and selecting the 13 strongest papers. Our gratitude goes to keynote speakers Prof. Mischa Dohler, Prof. Giuseppe Bianchi, and Prof. Adam Wolisz, brilliant lectors and outstanding researchers, who gave insights into hot topics of wireless evolution. Also, we would like to express our gratitude to all the participants and local organizers, who helped to make WiFlex 2013 a very successful event, and to the Institute for Information Transmission Problems of the Russian Academy of Science (IITP RAS), the STRADO Scientific and Organizational Center, and the Russian Foundation for Basic Research (RFBR) for sponsorship.